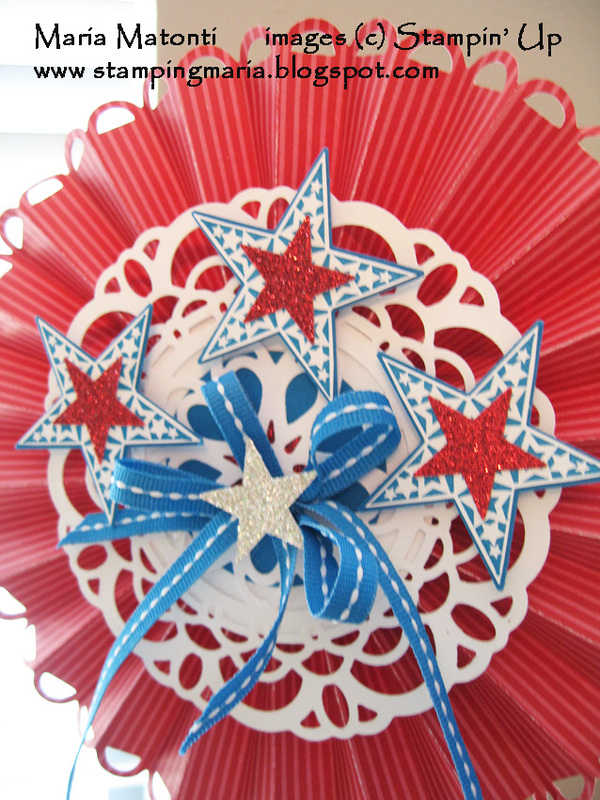 This is a 4th of July Rosette or Lolli that my Hostess Club members made. It's just a fun table accent! Cardstock: Real Red, Pacific Point, and Whisper White. Also, Red & Silver Glimmer Paper. Big Shot dies used: Rosette Bigz XL die and the Paper Doily Sizzlet. 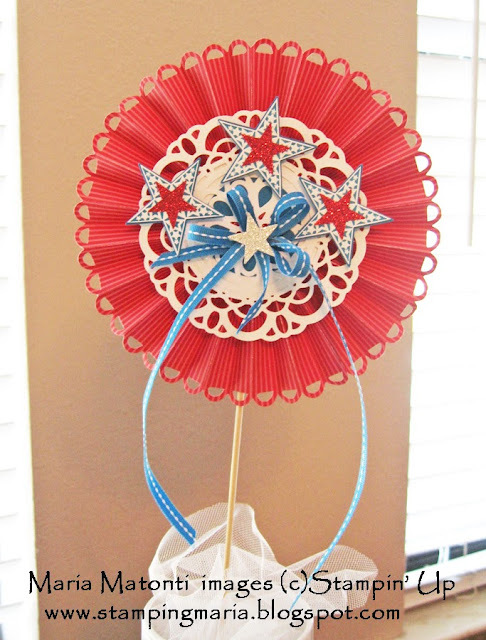 Other: various circle punches and retired star punches; Pacific Point Stitched Grosgrain ribbon, Sticky Strip, hot glue gun, and Stampin' Dimensionals.